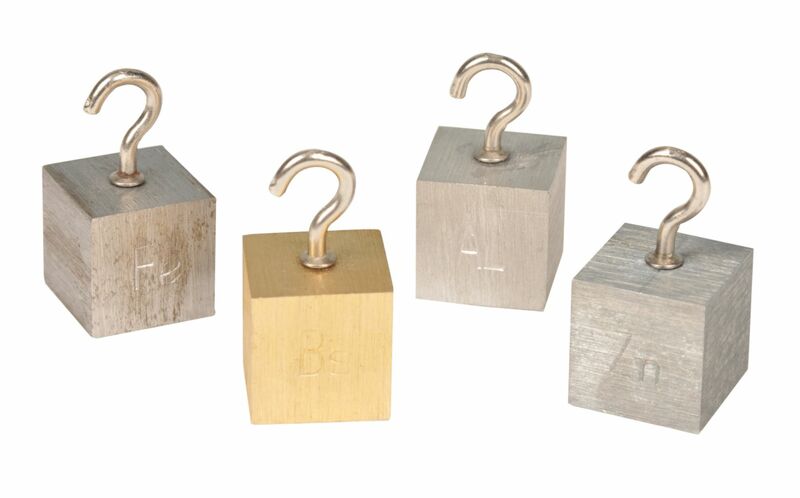 Density Cubes, Set of 4 Metals with Hooks, 1.26" (32 mm) sides. 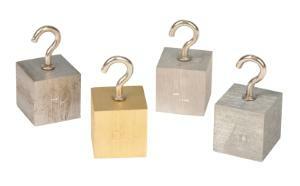 The set consists of four 32mm cubes of the following metals: aluminum, brass, lead, and steel . Perfect for investigating density. Note: this product contains lead. To be used for scientific purposes only.